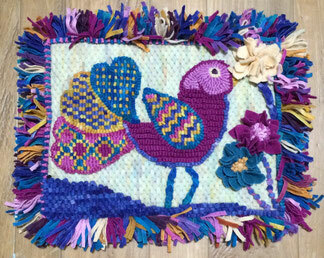 Are you interested in learning decorative stitches in rug hooking? I will be teaching this pattern with all decorative stitches at the Florida Tropical Weavers Guild Annual Conference, March 15th to 18th at Lake Yale Conference Center. Check out all the possibilities at FTWG.org! Mini classes, vendors, 2.5 day classes, and MORE!